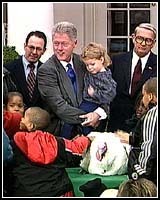 WASHINGTON (AllPolitics, Nov. 26) -- Continuing an annual tradition that stretches back to Harry Truman's administration, President Bill Clinton this morning issued a pardon to the White House's turkey. 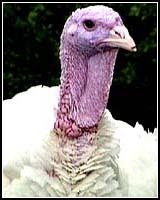 "Tomorrow, 45 million turkeys will make the ultimate sacrifice for America's feast, but not this one," Clinton said. It's the 50th year of the tradition. 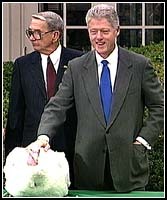 Clinton played his part, making the ritual jokes about giving "one more turkey in Washington a second chance." And the 60-pound, 28-week-old pardoned turkey played his, sitting placidly while the president stroked his feathers. TIME's Alain Sanders traced the tale behind the bird. Check out the full story behind this year's top Tom.